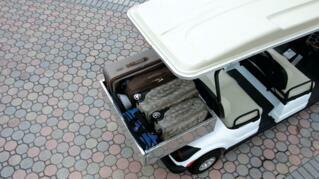 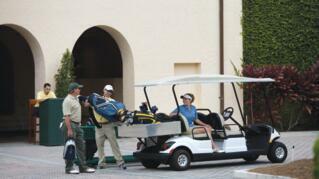 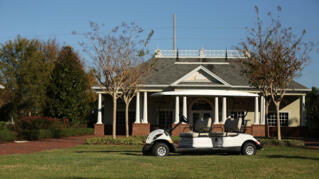 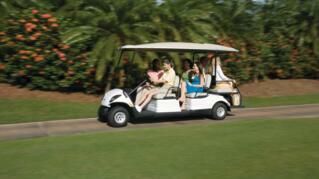 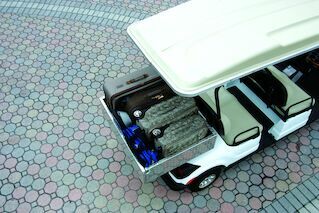 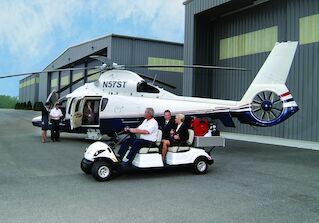 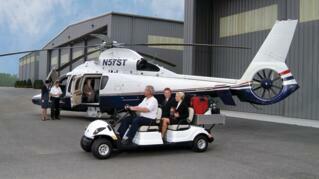 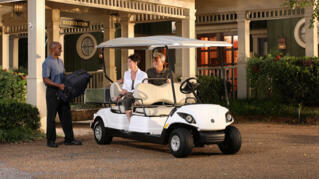 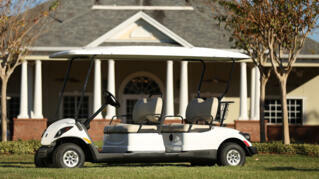 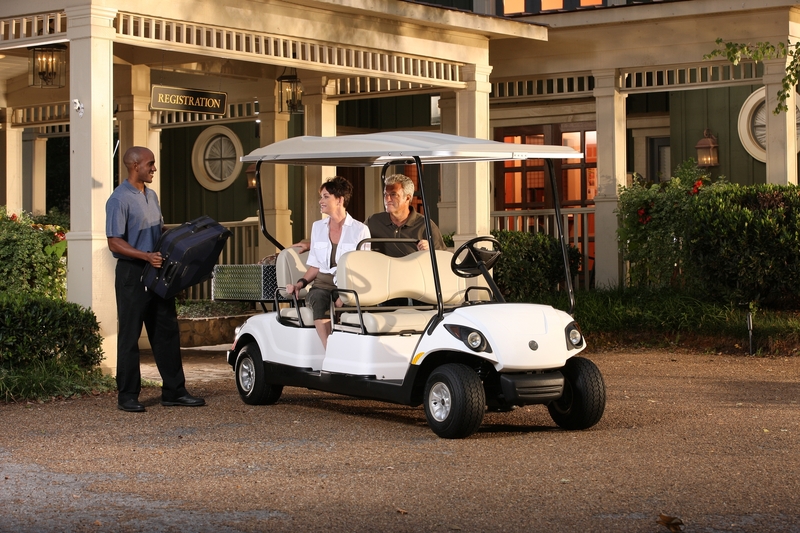 Driven by a clean, quiet and economical EFI 4-stroke engine, the Concierge is the ideal local transport solution. 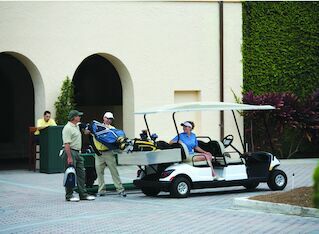 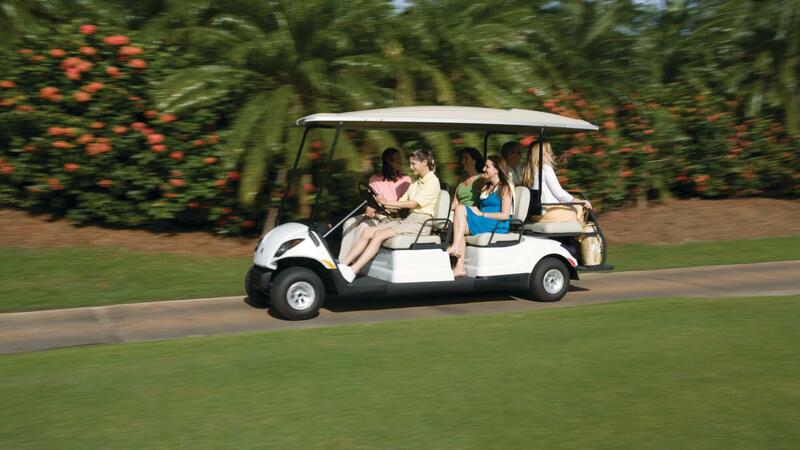 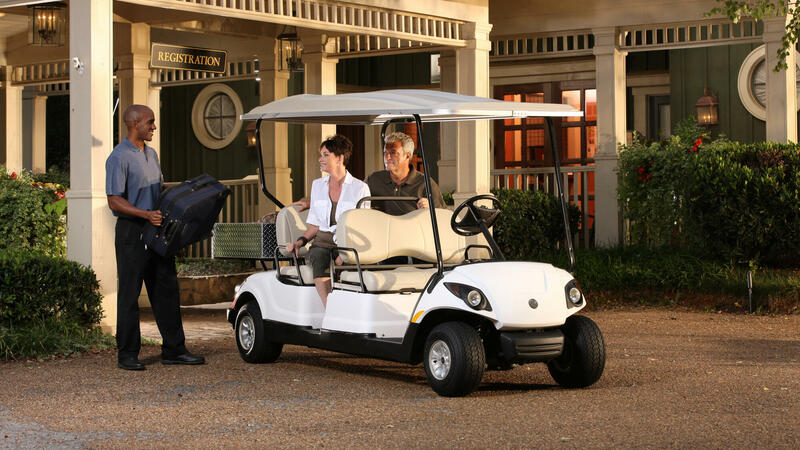 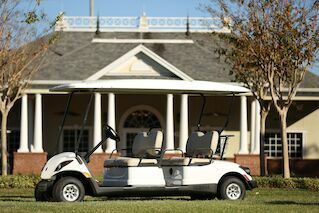 And whether you're a major resort or a private hospitality operation, the Yamaha Concierge is designed to enhance your reputation by offering a first class customer transport solution. With its luxurious seating for 4 and gleaming white bodywork, the stylish Concierge ensures that your customers will be transported in style to their destination. 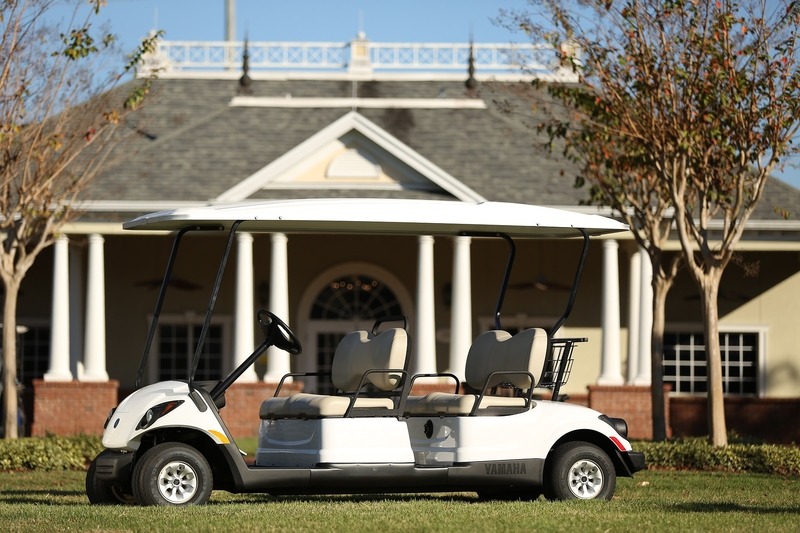 In today's highly competitive connected business environment, this high-end Yamaha hospitality vehicle is ready to deliver the ultimate customer satisfaction every time. 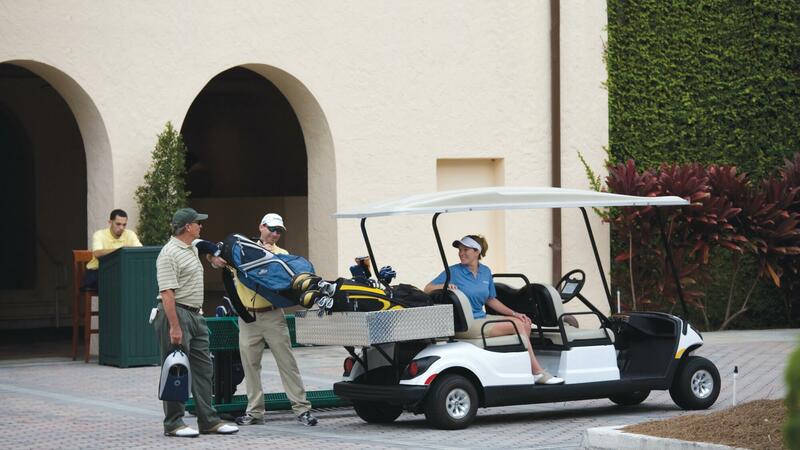 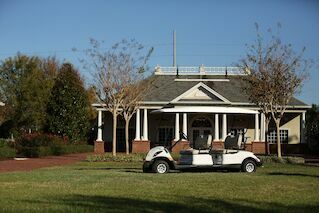 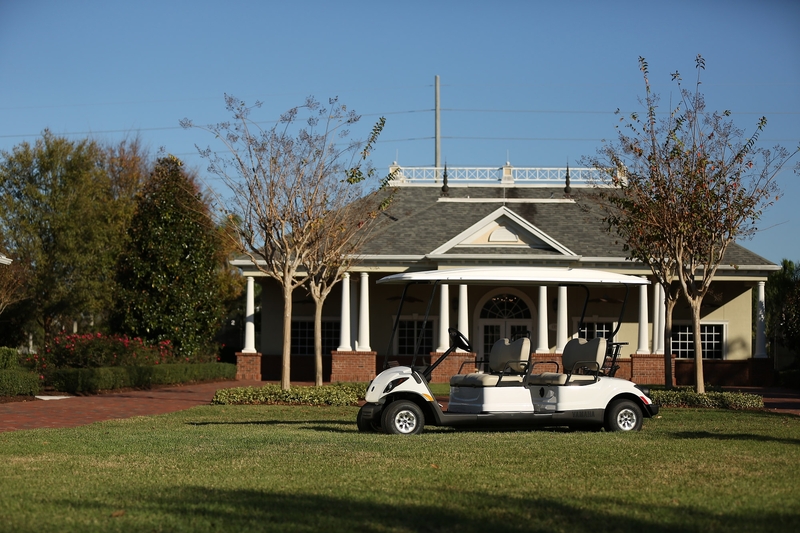 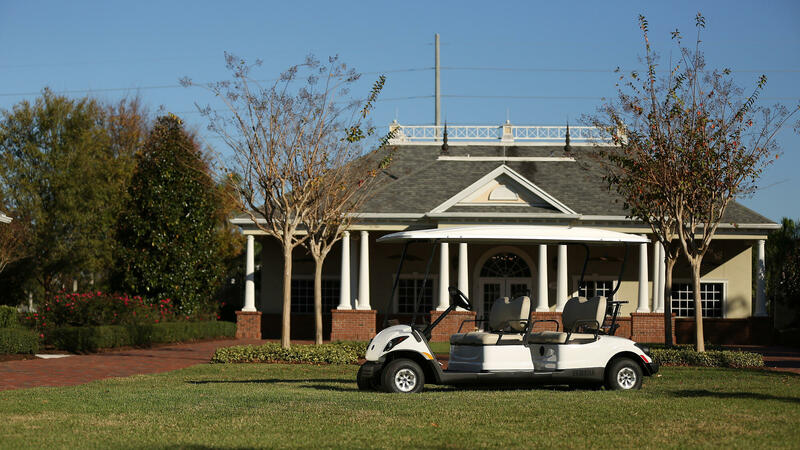 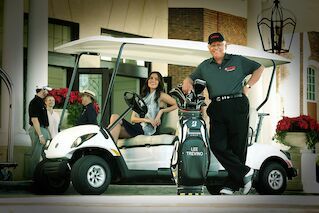 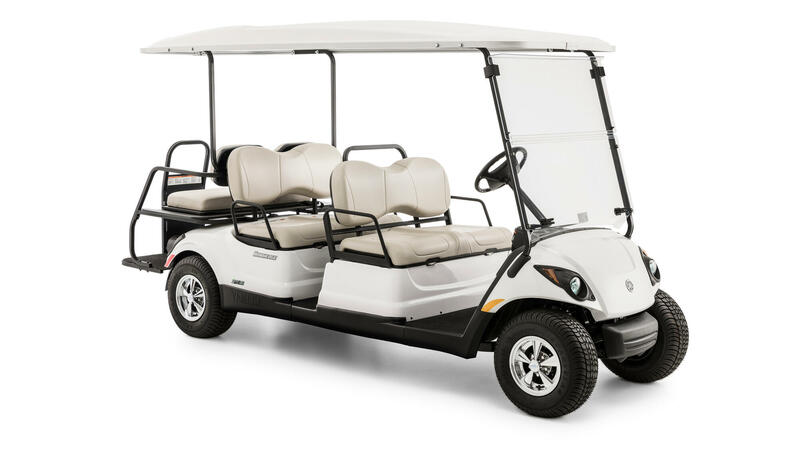 At Yamaha we've used our unrivalled technical expertise in Golf Car design to build the latest generation of local transport vehicles that cater for a wide variety of business and private users.